Despite playing the second half with ten men, the blues showed courage and determination to maintain their unbeaten home record although Bosham had numerous chances to end that undefeated streak. The Robins welcomed back Kieran Hartley from injury and Ricky Mullen to the squad for the match and would have been confident of nailing the points on a beautiful day on the coast. Neil Redman had a terrific chance to open the Bosham account in the first minute when finding himself clear in the box but only ended up firing his effort wide of the mark leaving the home defence to breathe a huge sigh of relief despite a firm statement of intent from the visitors. Newtown then started to show more fluidity to their game after the early scare but almost came unstuck later on when Dave Storey broke through for Bosham, only to slice his effort wide of the post when seemingly easier to score. Next, Robin Hampton went close for Villa with a header that zipped over the bar from only yards out, as the game really started to open up for both sides. Neither however could find a clinical route to goal and Newtown even had the frustration of seeing a penalty kick awarded and then scratched off as a result of the linesman’s flag. Close to the interval and the deadlock was finally broken when Hartley was upended in the Villa box and referee, Rick Steed, had no alternative but to point to the spot. Hartley got up and converted from 12 yards to give Bosham the lead they craved. Things then got worse for the hosts when Andy Dean saw red for a moment of madness, leaving Newtown in a particularly awkward pickle with a long way left to run in the game. The second half was only a few minutes old when the blues shocked the visitors by grabbing an equalizer through Adams with his first, crucial, goal of the game. 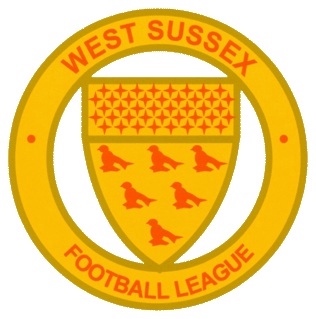 A free kick was swung in from the right and with Bosham keeper, Simon Hasted, making a meal of things, Adams was first to the ball to poke home to level. Certainly this was a knock back for reds, but thanks to the determined Hartley, soon got their noses back in front. On this occasion James Wilson provided the perfect cross and Hartley applied the finish with a strong header into the roof of the net. Following that Bosham had further chances to settle the game through Redman, Storey and Hartley but the confidence of the finish seemed to desert them, all the while keeping Newtown in the game and the missed opportunities came back to haunt the Robins, late on when former Bognor Regis Town striker Russell netted, latching onto a sumptuous through ball to volley home passed Hasted to draw his side level. Both teams through everything at each other in the final minutes, including a spectacular effort from Hartley that smashed off the crossbar with 'keeper Keelan Belcher beaten all ends up - but the game remained all-square leaving Bosham frustrated at not being able to finish off their opponents, but news of Henfield’s loss to Holbrook certainly helped to lift the spirits. Bosham: Simon Hasted, Andy Probee, Ben Blanshard, Matt Moore, Jack Hancock, Matt Docherty, James Wilson, Graeme Dowden, Neil Redman, Dave Storey, Kieran Hartley. Subs: Ricky Mullen, Ryan Lancaster and Adam Brett.